The majority of the American public is in favor of legalization, one American, in particular, has been trying to keep the discussion out of the convention. 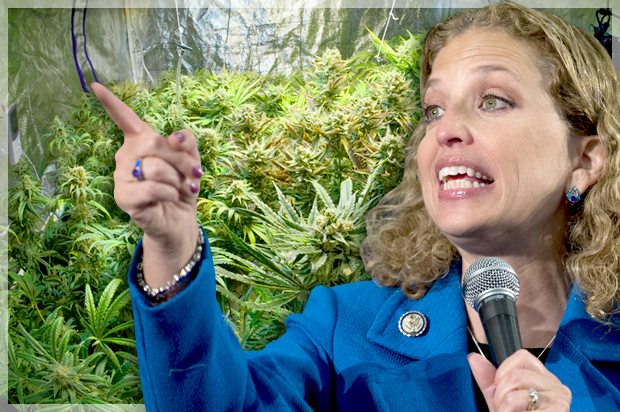 On Sunday, Debbie Wasserman Schultz stepped down from her position as chairwoman of the Democratic National Committee and cannabis activists could not be happier. After emails were released, appearing to show the party’s bias toward Hillary Clinton, Wasserman Schultz was booed off stage and soon decided to withdraw her role as head of the convention. Now, to be honest, I didn’t know much about Wasserman Shultz until fairly recently, and from what I’ve gathered, her absence from the DNC has actually been pretty effective in allowing a safe space for democrats to openly discuss cannabis law reform. Earlier this week, when I saw her getting booed off stage, I sort of felt bad for her. However, I soon learned just how much of a Debbie Downer she actually is, and how corrupt her methods are for keeping a failed war on drugs from coming to an end. So instead of having to do all that research yourself, let me break it down for you. Who is Debbie Wasserman Shultz? 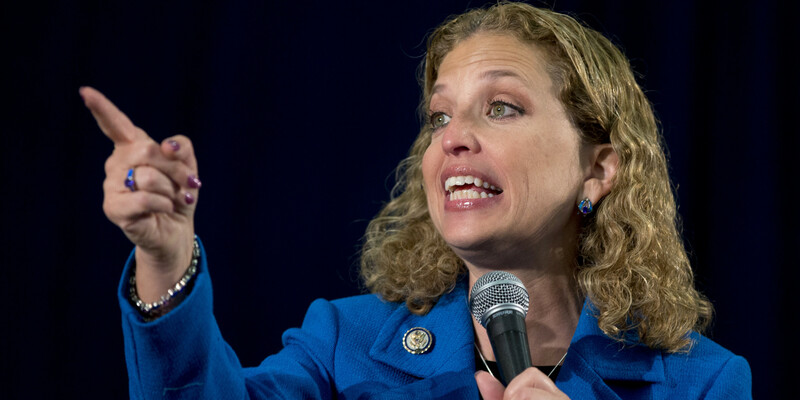 Florida native Debbie Wasserman Shultz has been a member of Congress for six terms and has served as the chairwoman of the DNC since 2011. In other words, she ran the show and pretty much spoke for all Democrats on a national level. Throughout most of her career, Wasserman Shultz has opposed cannabis reform efforts, not only in her district and state but across the entire country as well. A measure in favor of protecting state-legal medical cannabis dispensaries from federal raids? Opposed. How about a measure in favor of permitting Veterans Affairs doctors to advise patients on medical cannabis? Nope. And Florida’s Amendment 2, which would have allowed patients, even in her own district, to use medical cannabis? Not a chance. Now that we know how she feels about legalizing cannabis, we should probably take a look at why she feels this way. I just don’t think we should legalize more mind-altering substances if we want to make it less likely that people travel down the path toward using drugs. We have had a resurgence of drug use instead of a decline. There is a huge heroin epidemic. Seriously?! You’re going to associate cannabis with heroin? For a substance that’s less dangerous than alcohol, you have got to be kidding us, Deb. Formed by my personal experience both as a mom and as someone who grew up really bothered by the drug culture that surrounded my childhood – not mine personally. I grew up in suburbia. So let me get this straight. First, you compare cannabis to heroin (which is ridiculous in itself) and then you mention that the drug culture bothered you, but not personally because you grew up in the suburbs? Right. Makes total sense. Debbie Wasserman Shultz appears to be just another nonsense politician who knows nothing about cannabis and its medical benefits, and therefore wants to keep it illegal because it’s a drug, right? Well, maybe, but that’s not all she’s got up her sleeve. Debbie Wasserman Shultz is one of the biggest bullshitters in politics today, and she does a fine job at it, might I add. Her opinions on cannabis law reform have absolutely nothing to do with keeping the people’s best interests at heart. When Florida failed to pass medical cannabis in 2014, her opposition to the measure had nothing to do with the reason she gave and instead had more to do with a small tiff she was involved in within the political arena. In 2014, John Morgan, a wealthy Orlando lawyer known for donating large sums in support of medical cannabis, criticized Wasserman Shultz for siding with Republicans and voting against the 2014 measure. It was said that three months later, she offered to change her position on the issue if Morgan took back his negative remarks. Um, okay? How about no? 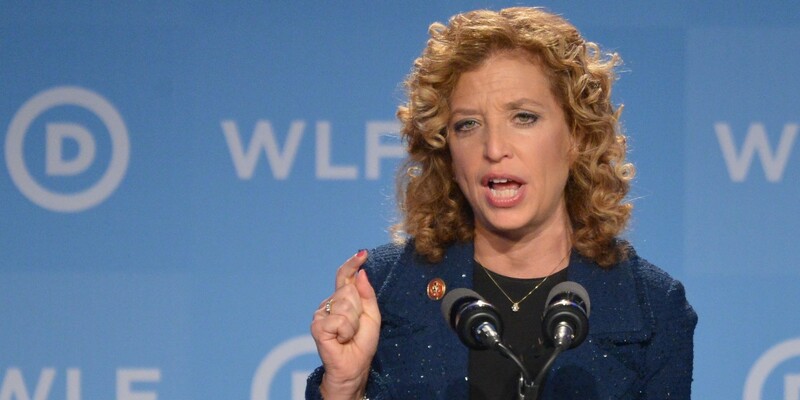 We pretty much know that every politician is partnered up with a company or industry that keeps his or her campaign afloat– for Debbie Wasserman Shultz, the alcohol industry is a major supporter. Since entering Congress in 2004, Wasserman Shultz has been given a total of $223,600 from manufacturers, distributors, and wholesalers of beer, wine, and liquor. There’s no doubt that the National Beer and Wine Wholesalers Association gave an extra $57,000 to a special ‘pro-liquor’ and ‘anti-cannabis’ someone to ensure that someone got reelected. And don’t forget about all of those big time industry execs that made their own personal contributions of an additional $119,850. Legal cannabis, whether medical or recreational, is a huge threat to the alcohol industry; especially with all the revenue it’s already made and the potential it has to bring in more, there’s no doubt in my mind that Debbie Wasserman Shultz knows it. Now that Debbie has left the building, cannabis advocates are having a much easier time making cannabis law reform a hot topic at the convention. In fact, with more room for discussion and no room for Wasserman Shultz, the Democrat Party officially made history this week by becoming the first major political party to back the path towards legalization. How cool is that? The platform, which was approved on Monday, calls for removing cannabis from the list of Schedule 1 drugs (other drugs that are listed as Schedule 1 include heroin and LSD) and calls for the protection of the 26 states with medical cannabis programs from getting in trouble with federal law enforcement. After viewing polls that found a majority of Americans are in favor of legalizing cannabis, it’s safe to assume that both political parties, not just Democrats, support the measure openly. And without Debbie Downer in the way of the convention now, cannabis activists will have more opportunities at having their voices heard instead of hushed. Have you been watching the convention? Have you heard anyone speak out about cannabis law reform? Let us know on social media or in the comments below.